One of our very few template based designs has made it to our portfolio! Although not a custom design like most of our work, our long standing client needed a quality solution in a pinch and we were happy to oblige. 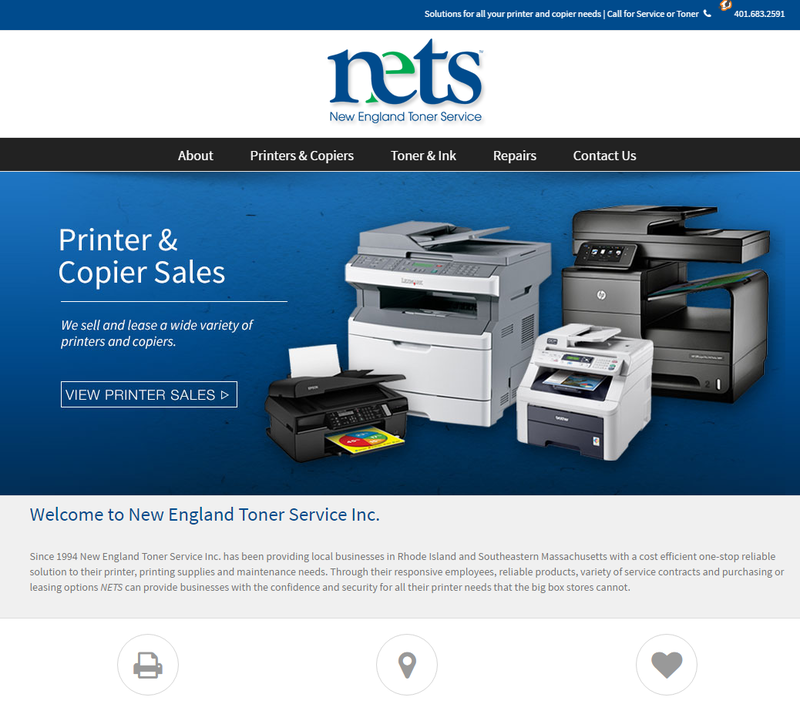 When New England Toner service was being purchased by our good friend Ric Bartkowiac, the website was going to go away very quickly. Ric needed to get the existing site and domain name rescued to ensure a smooth online transition. We built out a simple, yet effective design in record time which is exactly what Ric needed. Going this method we lose out in the flexibility to customize and keep the design clean, as well as sacrifice future development options. But, the goal was to get an informative, modern website up and running quickly with a tight budget. Success!